The US Dollar fell across the board after much weaker than expected US services PMI numbers. The ISM non-manufacturing PMI arrived at 51.4 vs 55.0 expected. All components showed a decline: Business activity fell from 59.3 to 51.8, employment from 51.4 to 50.7 and new orders from 60.3 to 51.4. The British Pound benefited the most from this, and GBP/USD rallied from 1.3340 to a high of 1.3440 so far. In Asia, the pair retraced some of its recent gains, to 1.3405. EUR/USD rose from 1.1160 to 1.1260 following the weak ISM number, and traded 1.1235-60 overnight. 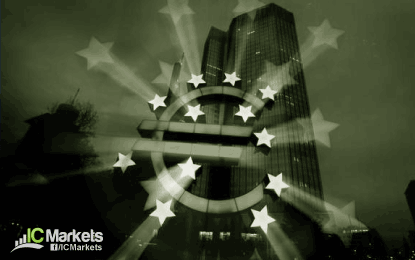 Price action in the Euro is likely to be quiet ahead of tomorrow's ECB rate decision. USD/JPY came under sharp pressure yesterday, falling from 103.40 to 102.00. It extended losses overnight and declined to a low of 101.20. Support is now seen at 101.00 and 100.00/10.